OCAD will be present at Swiss Orienteering Week in Zermatt on Sunday 20 July. The OCAD team will demonstrate you the new OCAD 11 features and answer your questions about the OCAD software. Visit our booth on Sunday 20 July between 08.30-13.00 and 16.00-19.30 at SOW Centre Obere Matten. This entry was posted in Uncategorized and tagged Course Setting, Orienteering Map Making, Professional Map Making on July 16, 2014 by OCAD Team. 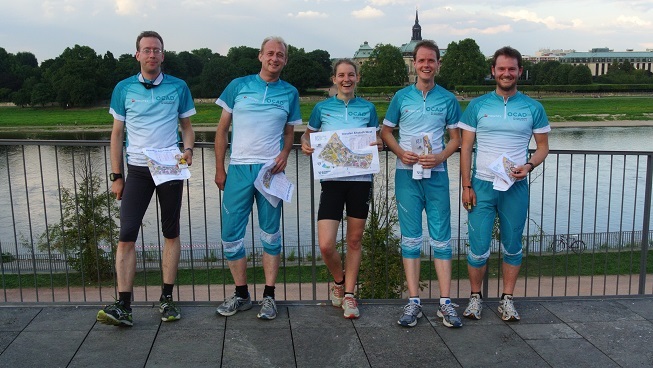 OCAD Inc. congratulates our employee Sabine Hauswirth to the gold medal in the relay at the Orienteering World Championships in Italy! This entry was posted in OCAD 11 and tagged Course Setting, Orienteering Map Making, Professional Map Making on July 14, 2014 by OCAD Team.